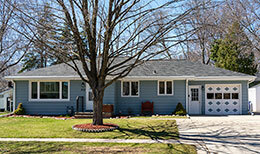 Thinking about selling your Green Bay area home? I’m sure you have questions. Even if you’ve sold more than a couple of homes, I bet you still have questions. At least you should! Selling your home is very different from even just a few years ago. Home buying and home selling is definitely an area where there’s constant change. So, here’s a list of the top frequently asked questions by home sellers, it should give you a fair amount of understanding all that is involved when selling your home. If this list doesn’t cover one of your home selling questions, contact me! I’d be more than happy to go over the home selling process with you. How is the Housing Market Now? The housing market is constantly changing. You need to ask your Realtor about this. They can give you stats and updates about what is happening in and around your particular neighborhood. Don’t have a Realtor to ask? Ask ME! What time of year is best when selling my home? Good question! And the answer is somewhat vague, because it depends on you, the home owner. Are you in a hurry to sell? How motivated are you? Spring and summertime are the busiest times to sell your home, not necessarily the best times. With that being said, you’ll have more competition in the spring and summer. But what about the fall and winter? There are still buyers out there looking for homes to buy, and at that time of the year, there’s less homes for sale on the market. I’ve sold homes (yes, that’s plural) the day after Christmas, just after New Years, and in the gray days of early February. All the above rambling means: it varies. Talk with your Realtor about what strategy would work best for you. Since the market is constantly changing, there’s no real clear cut answer. What do I do to get my Home Ready to Sell? Talk with your Realtor and come up with a game plan. Most real estate agents will give you “homework” on what to do to your home in preparation for putting it on the market. The million dollar question, folks! First off, let me make this clear – the current housing market will tell you what your home is worth. Your home is worth what a buyer is willing to pay for it. You have a number as to what your home is worth, the tax man has a number as to what your home is worth, a home buyer’s appraiser will have a number as to what your home is worth, and online housing sites, such as Zillow, will have a number as to what your home is worth. These will all be different numbers! You need to get a Realtor to do a Comparative Market Analysis (CMA) to see what the market is telling you. That’s how you should price your home. I will tell you this right off, it ain’t cheap to sell your home. You have Realtor fees, title fees, and depending on what you and the buyer agree upon, you may also be paying for some of the buyer’s fees. Roughly? You’re looking at about 7.5-8%. Ask your Realtor to give you a breakdown on what the costs will be. Typically, I charge 6%. Have I ever charged more than 6%? Yes. Have I ever taken a listing for less than 6%? Yes. With that being said, I’m sure you’ll find a real estate agent to give you a discount, but then you better expect discount service. The saying, you get what you pay for, is very true. Especially in the real estate business business. How Long Do Listing Contracts Last? That is between you and your real estate agent. Typically, I do 6 month contracts. Have I had longer contracts? Yes. Have I had shorter contracts? Yes. It varies depending on the situation. What Should I Disclose About My House? You’re always going to be better off being honest and upfront. If you’re aware of defects with your home, fixing them before listing your home on the market is best. At the very least, your Realtor will have you fill out a Real Estate Condition Report. This is where you should disclose defects to the potential buyers. If you’re unsure whether you should mention something, MENTION IT. Talk to your agent. How Do I know When a Showing is Scheduled for My House? I use Showingtime. It’s a service that will call or text you with any and all home showing requests. It will say the name of the real estate brokerage, the real estate agent that’s showing it, the date and the time. If over the phone, you say yes. If via text, you type in Y. It’s that easy. Will I get Feedback From Showings? Most of the time, yes. Most real estate agents that show your home will give feedback. But there are some real estate agents that simply do not, no matter how many times you call them. Sad, but true. Should My Real Estate Agent Run an Open House? Is that in your listing contract? If not, then your real estate agent is not obligated to run an open house. Not all real estate agents host open houses. Why, you ask? Because less than 5% of homes actually sell at an open house. In my now 4 years of being a Realtor, I have sold 1 home at an open house. Not to be a Debbie Downer for open houses, but talk to your Realtor about the pros and cons to hosting an open house. Why Isn’t Anyone Looking at my Home? Your home is listed on the MLS, you have beautiful home photos, and your real estate agent is working hard in the advertising and marketing department, but you’re not getting any showings? It’s PRICE. It’s a tough answer to take, but it’s true. What Do I Do with a LowBall Offer? Counter it! Never reject an offer to purchase! Counter, counter, counter. What is a Home Sale Contingency? It means the buyers have a home to sell before they can purchase your home. They may already have a buyer lined up, or their home may not even be listed on the market yet. Your real estate agent will have the details. What Are Common Bank Required Repairs? If you have the right to cure, you go back to negotiating. Buyers may or may not ask you to fix defects. But, there is a time limit as to when the buyers can ask for repairs. Each time limit varies per agreed contract. This is a very abbreviated answer, talk with your Realtor to get the full details. First off, take a deep breath, there are several solutions. You come down in price to what the appraiser said your home is worth, or the buyer pays the difference from the appraisal price to the agreed upon purchase price, or you both agree to meet somewhere in the middle, or finally, you both agree to end the deal. The common answers are the deal ending, and the seller matching the appraisal price. Do I Have to Steam Clean the Carpets? According to the standard contract in Wisconsin, your home must be left in broom swept condition. If you want to steam clean your carpets, I’m sure the buyers would really appreciate it, but it’s not necessary. But, for a simple solution, so you don’t have to deal with any cleaning – hire a cleaning service to go in and take care of it for you, you’re going to be busy enough moving your furniture and belongings to your new place to worry about being tidy in the process. As I said, these home sale FAQs do not cover the entire home selling process, but it should give you a better understanding. Any questions about selling your home and the process of it, please don’t hesitate to contact me!